"My journey started in 2010 when my first child was born with (what seemed like) too many allergies. Even the big brands that touted “hypoallergenic” were not helping our baby’s skin! 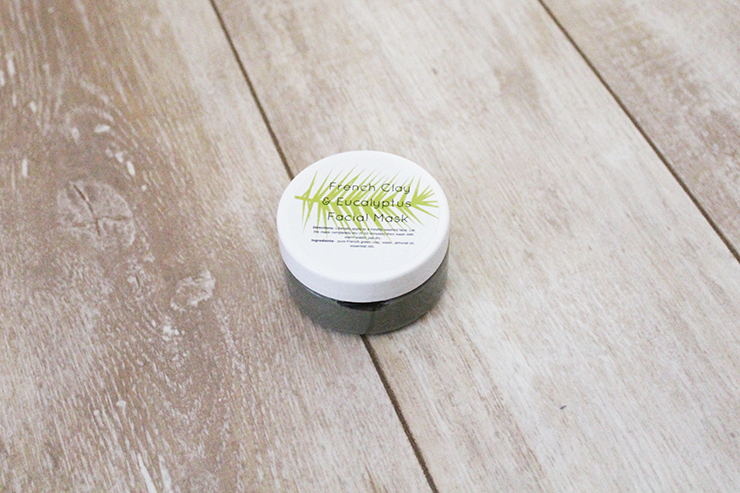 I was on a constant rotation of products until we finally settled on eco-friendly brands with simple ingredients that didn’t irritate skin. After months of searching and testing what worked, it was then that I discovered the value of small batch, handmade products. By the time I had my second child in 2012, I’d gone to the extreme of making everything at home (and cloth diapering, but that’s another story altogether)! My husband thought I was a little bit crazy at the time, but soon after he jumped on my ‘natural bandwagon’. Through all of our endeavors, we strive to source products and ingredients that are clean, simple and earth-friendly." Black Sheep Box's products are all natural with easy to read (and understand) ingredients that still feel super luxe. You have three options to purchase their products, which allow you to really choose what works best for you. There's the Luxury Skincare Box in which you get three to five organic skincare and soap items, the Soap of the Month Box in which you are surprised each month with a bar of soap, or you can purchase products individually. Each month I get the Luxury Skincare Box and so far I've recieved boxes for December and January. 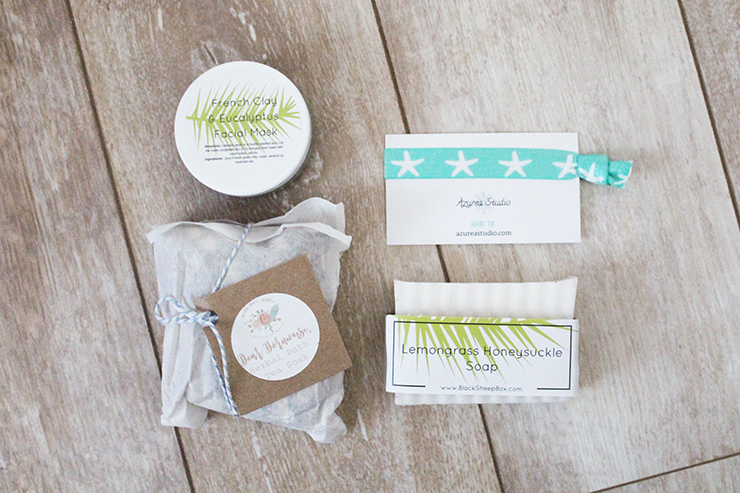 I love subscription boxes because it is so much fun getting a new one to open each month! This one is also even more fun because I am a skincare product junkie and love trying new ones! In December's box there was a body scrub, soap, lip balm, and candle. 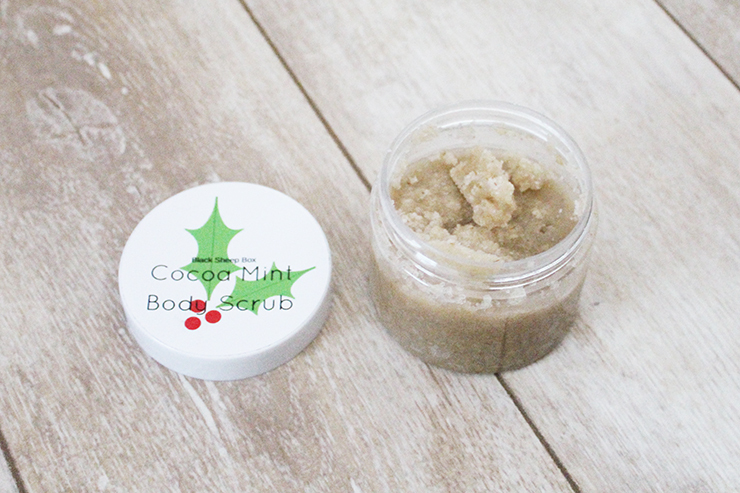 The Cocoa Mint Body Scrub smells amazing and did a great job of sloughing away dead skin. The soap was Lemongrass Honeysuckle, which I was excited for because I always think all natural soaps are so fun. The Passionfruit & Guava Candle is a pretty hot pink and has a crisp fresh scent. 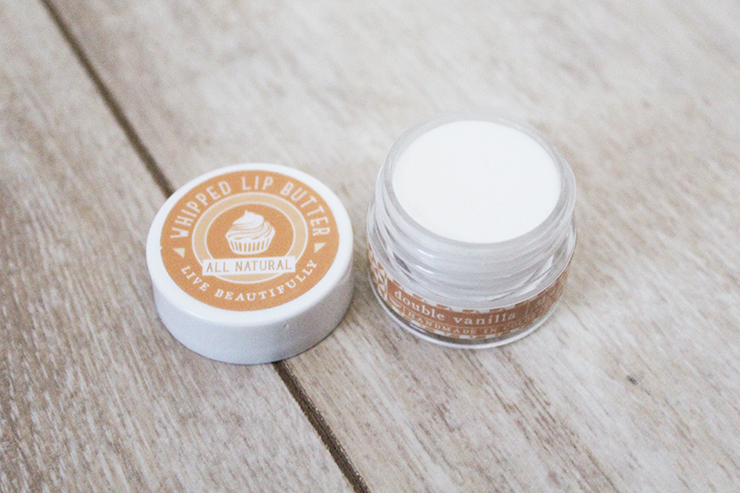 My favorite in the entire box though was the Whipped Lip Butter in Double Vanilla, it smells incredible, is super buttery, and makes my lips so soft! In December's box there was a facial mask, "bath tea," Lemongrass Honeysuckle soap, and hair tie. 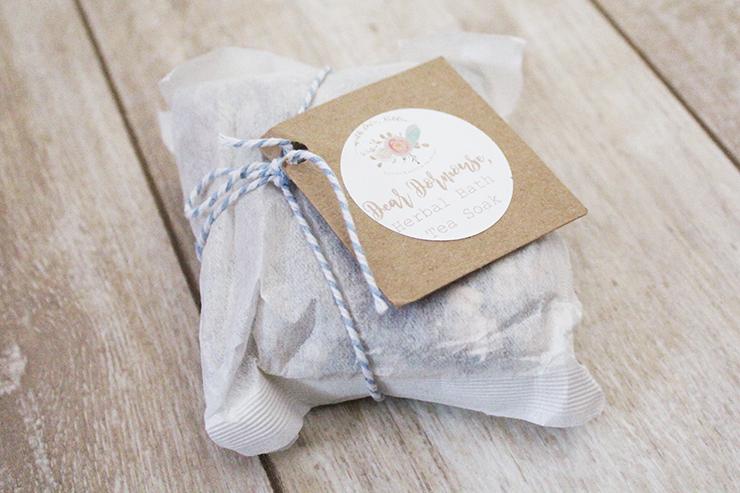 The French Clay & Eucalyptus Facial Mask is great for acne prone skin and I was really happy to try the herbal bath tea soak because I had never used one before! 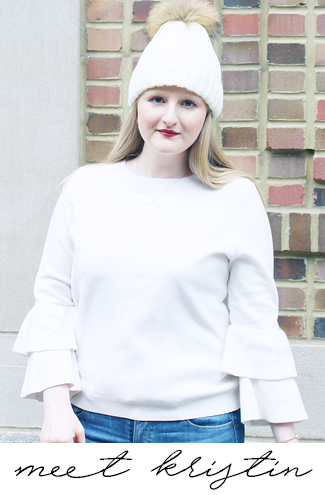 If you love all natural beauty products, subscription boxes, or are a skincare junkie like me then you definitely need to check out Black Sheep Box and try one of their subscriptions! Thanks for this! I'm realizing how important skin care is now that I'm getting older. Don't want wrinkles!! I'm always on the lookout for good products. I love trying natural beauty products, I've been a lot more concerned about the ingredients in my products lately. I'll have to look more into this, thanks for sharing! I love this all natural beauty box! Face scrubs are the best! I love all-natural beauty products! I'm realizing how important it is the older I get. 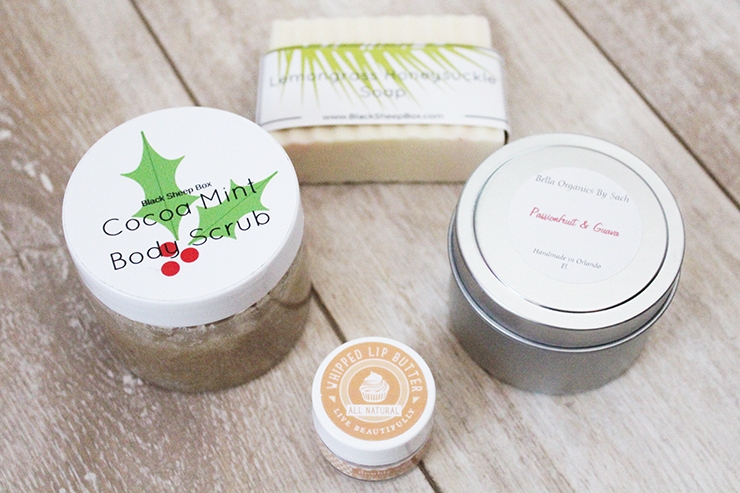 That cocoa mint body scrub sounds amazing! I love love love natural beauty products!! I always try and keep my skin nice but its so hard when its cold out! This is such a cool box! I've never heard of them before, but I will have to try next time I need some lovely natural products! I haven't heard of this before but it sounds so cool! May need to try this out. The cocoa mint body scrub sounds like heaven!! That cocoa mint body scrub sounds right up my alley! I may have to try it! This is such a fun box subscription. Skincare is my absolute favorite, I adore trying new products! This sounds like such a fun subscription box....candles and face masks? Sign me up! omg that mint scrub looks amazing!!! !